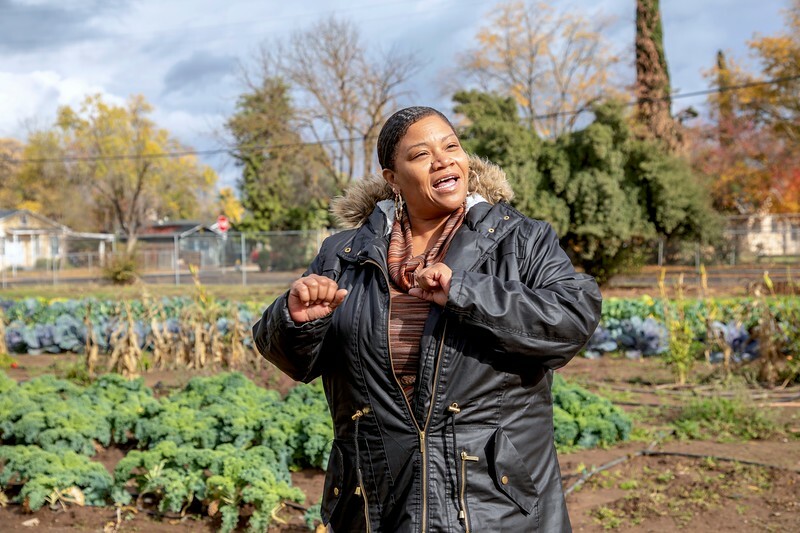 At New Light for New Life Church of God in West Fresno, the well-tended backyard yields a colorful fall crop—green and purple cabbage, cauliflower, collard greens, and curly kale. A few stalks of okra are left, too, as a reminder of summer’s bounty. But this is not just any church garden. This is the Freedom School Demonstration Farm, a year-round vegetable farm managed by a core group of 37 children and their adult mentors.